I just got home from spending my winter break in Madrid, Spain with my boyfriend. One of my favorite things to do was bundle up in a sweater, boots, a scarf, and my thickest coat and walk the one mile to my favorite bench next to the lake at el Parque del Retiro. Sometimes I would sit and journal. On a busy weekend afternoon I would people watch. And sometimes I would just slowly stroll around the park. On the weekdays, the park was vacant except for a few retired people and some young kids who were too young for school wandering through. On one particular weekday when gray clouds threatened a downpour at any moment, the park was close to empty. And out on the lake, there was a sole couple taking advantage of a break in the rain and testing their fate on one gloomy day. STUNNING photo. 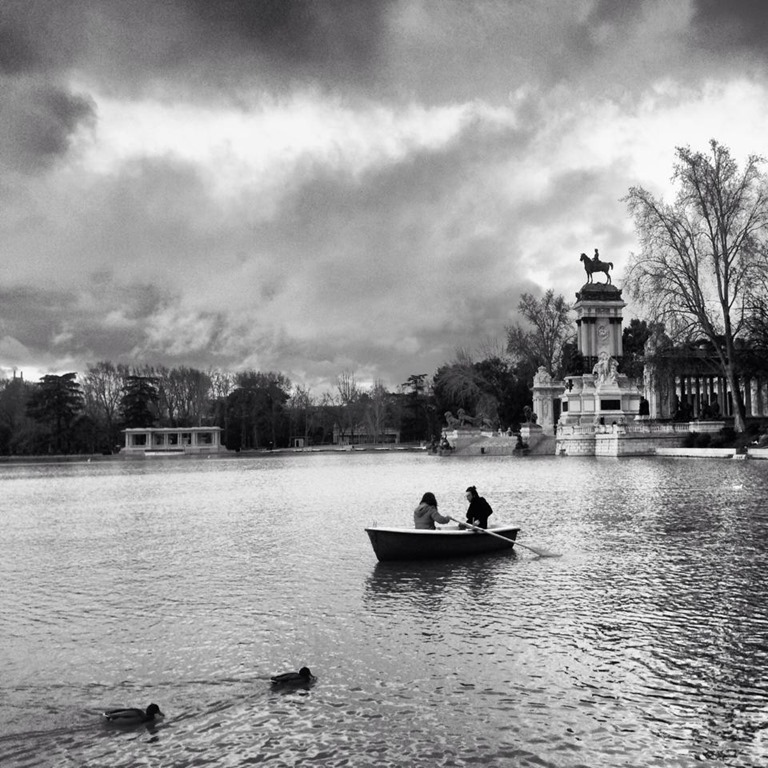 I love Retiro as well, and this picture captures it so well. Thanks for posting! Thank you so much! It’s a great place… hard not to take a great picture!